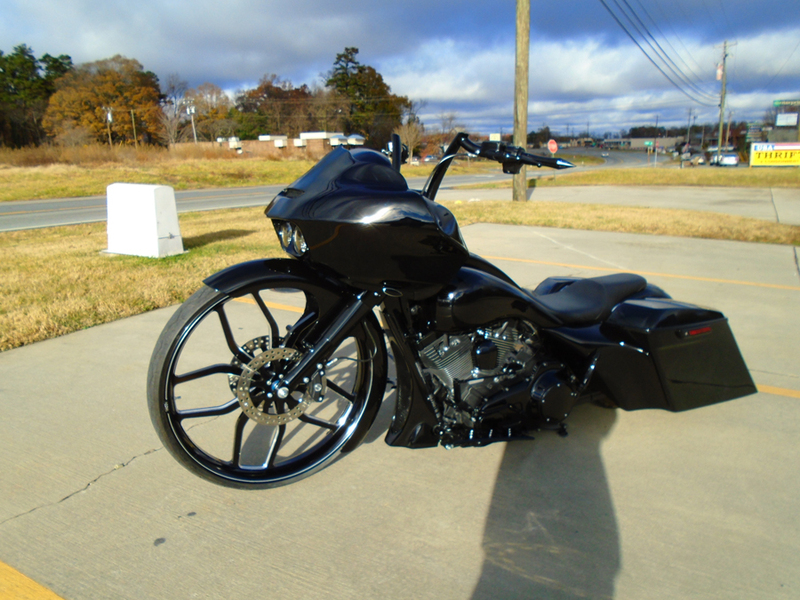 This is a 2014 street glide. 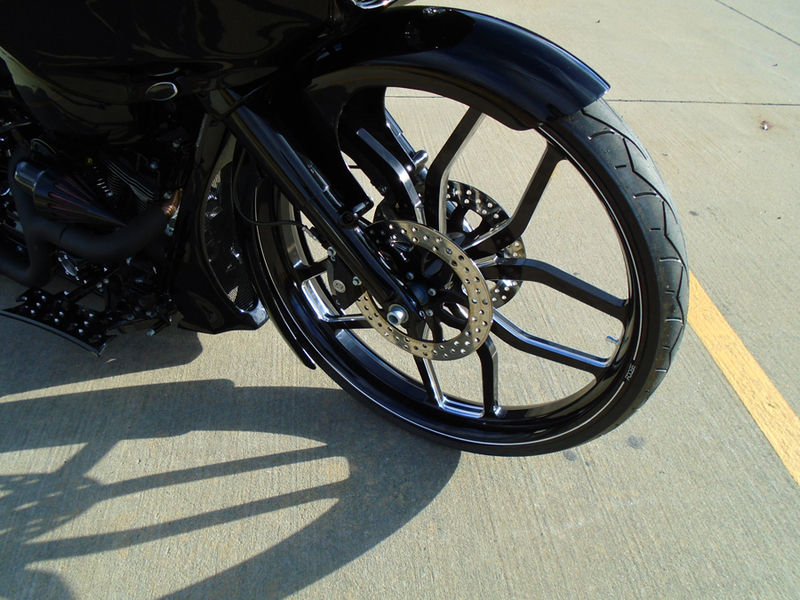 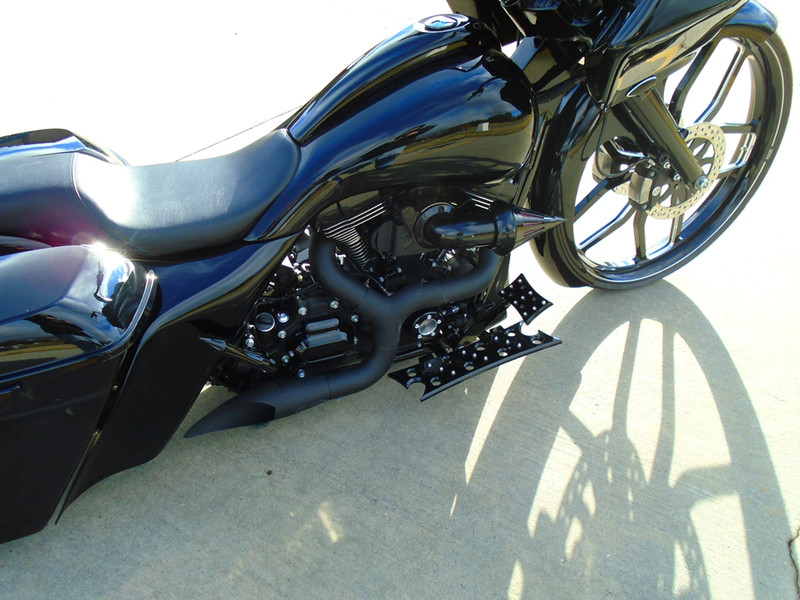 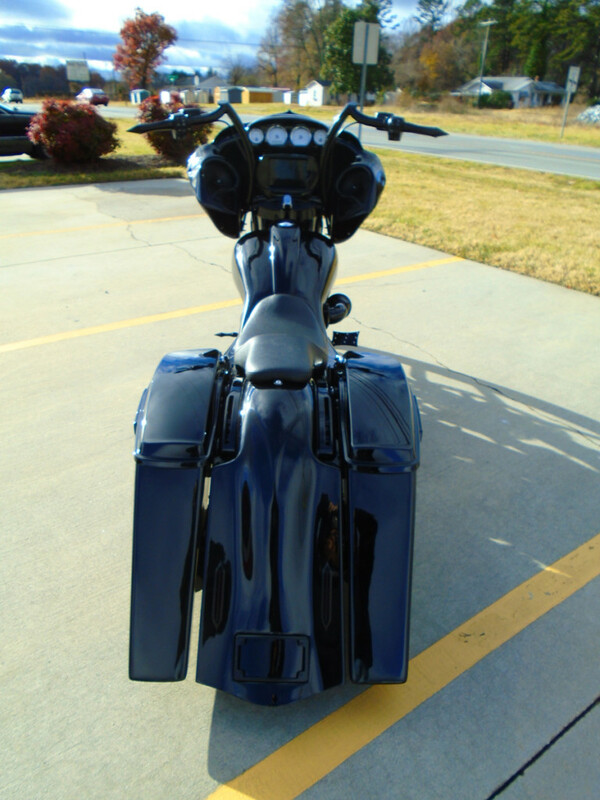 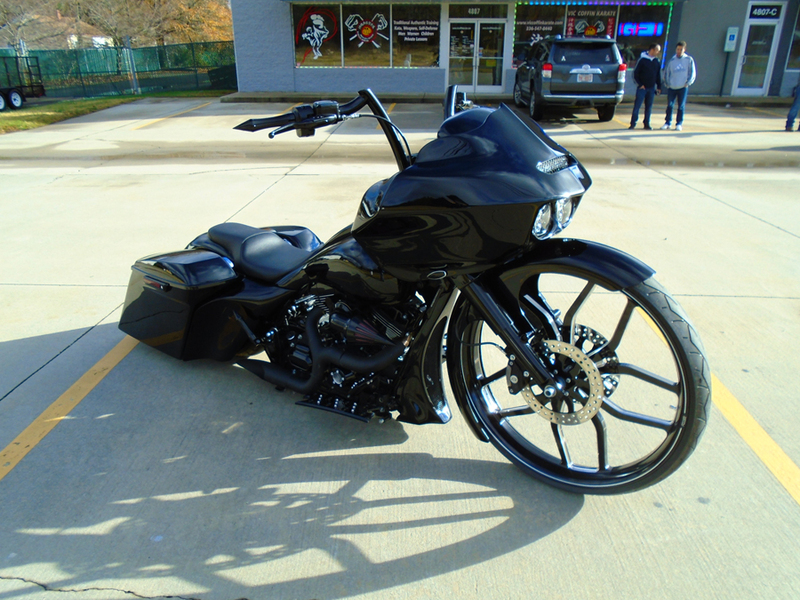 We did a road glide nose conversion on it, 30 inch outcast wheel, our front and rear air ride, custom 4 speaker inner fairing with mini iPad to control, big mouth chin, stretched tank and side covers. 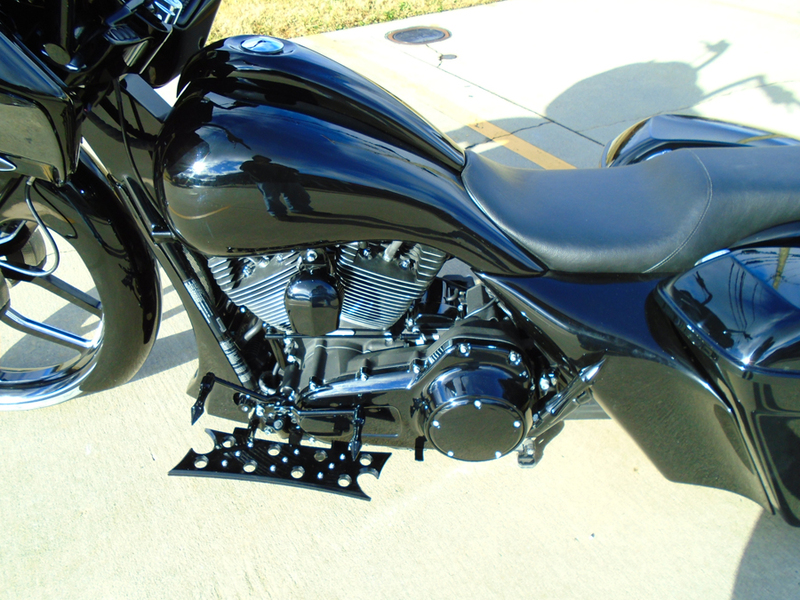 6 inch bags and fender, center stand and 16 inch felon handlebars.